I'll bring a source with the calf for fiber types and the resynthesis of creatine phosphate. For, the terrible mistake of most athletes is to count the shin with an aerobic muscle. Perhaps 10-30% of motor units of gastrocnemius and soleus aerobic, I do not argue. But everything else - wildly acidified, does not have any special outstanding abilities. Consequently, the use of ultra-rigid training on the lower leg is one of the main reasons for the lack of growth of the shin. She needs to train exactly the same way as a quadriceps - with a rest of 10 minutes, without superseries. Nice feedbacks and super interesting as all this stuff is. Thanks for all your time on here and they greta interesting critical contribution. we see in studies that they indicate that the different muscle fibers react to different electrical stimulation and have therefore different wave length as a pattern for reaction. I cannot find in this study that they tried different frequencies just one single one. wave length they used or frequency for the stimulation . Help and show some studies where they used different stimulation pattern. See in their paper as they agree with that point. b) Go and look for some interesting reading from companies like Compex Originally Switzerland or myotron. They all argue they have the different frequencies so you stimulate specific the targeted fiber type. c) They used one specific frequency from the literature. What would have happened if they used another one where perhaps other fibers would have reacted different . ? The muscle was stimulated using a pulse frequency of 40 Hz, pulse width of 200 ms, stimulation train duration of 1 s, rest time between trains of 1 s, and current strength of 72 mA. The stimulation parameters were chosen based on literature. So if the different stimulation pattern theory opens the question , whether this specific frequency was the preferred one for a specific fiber type and therefore this one had the highest ATP need and reaction ??? In order to accurately determine the recovery of muscles, it is possible to do isometric squats before the parallel, and according to the trend of deoxygenation, assume that the muscles consume oxygen as before or not. Of course it's not every workout, but only as a one-time event. So, hypothetically, the ability of muscles without tremors to keep isometric indicators of their health, freshness. If there is a tremor or oxygenation does not fall to zero, if there is a growth of Thb, then the muscles are in poor condition. I read the studies of runners at medium-distance international level, where they were offered to hold 3 kg fixed on an ankle sitting on a chair. Overtrained athletes were registered with a tremor and they did not have a burning sensation, EMGs were accompanied by high-frequency peaks, signal loss. This was caused, in particular, by the long running in the competitions. Normally, the refusal to work was due to burning, without tremors and fallouts/high-frequency peaks of the EMG signal. Therefore, according to the muscles that can not work properly, they will constantly flow blood and oxygen, which will be seen on the sensor. Thanks Kirill for the links and topic expansion. A few questions/or points about some of your remarks that I am not sure about, and maybe you can elaborate on. "the ability of muscles without tremors to keep isometric indicators of their health, freshness. If there is a tremor or oxygenation does not fall to zero, if there is a growth of Thb, then the muscles are in poor condition"
In am not sure if this is a language or understanding problem but this is what I am getting out of this statement. If you do an isometric contraction and you have SmO2 tremors, SmO2 does not go to 0%, and tHb increases during the contraction your muscles are in poo condition. Is “poor condition” a general statement about the muscle or is it a statement about the current state of muscular fatigue? Then when you say isometric, at what ability? MVC? I have a lot of data with untrained to highly trained, from endurance to power sports, that show many different responses in isometric contractions, and many variables play a factor in the response. My assumption is that what you are trying to say is the following: If you have a well trained individual who is fully recovered and completes a isometric MVC we would expect to see clear drop in SmO2 to values very close to 0% and a complete occlusion meaning no change in tHb. This I agree with. This point, again I think is a little difficult to understand but ties into the previous points. If a muscle is recovered and well trained and is then contracted to a high degree, lets say MVC, you should see occlusion tendencies, ischemia, low SmO2 values, etc. If a muscle is fatigued or not well established contraction force well not results in this ischemia and therefore you will have continuous blood flow and therefore continuous oxygen supply. This is most likely a true statement. What I want to make sure that other readers do not get confused about, blood flow restrictions caused by voluntary contractions is a result of the amount of force the muscle is producing on the vasculature. Being aware of this is important when using the Moxy, but also very important when considering the activity/intensity of training, or thinking about the sport one competes in. Practical example. If you are cycling for an extended period of time having regular blood flow to youe working muscles is vital, and therefore factors that impede blood flow (for example high muscle force, but also things like positioning) need to be taken seriously and avoided when possible. However, if you take a sport like alpine skiing, this avoidance of blood flow restriction is near impossible, as the forces involved and the isometric contraction from the aerodynamic position will automatically generate this. Here is much more about a quick “recovery”/release when possible and a buffering of the system for the duration of the event. Yes, you understood me correctly. The study that very frequent muscle tremors occurs in overtrained runners I read in the library in Russian, observations were made on the USSR national Olympic team. So there are works, perhaps you are well-known that when EMG signs of poor muscle relaxation appear very soon, a sprinter can tear muscles if he does not allow them to recover. Muscle tremor - I call it when the muscles begin to tremble very often during isometric tightening or during normal exercise. Look at the moment 2:54 in this video, if you look closely you can see how the trembling starts, can also start quickly and quickly in different directions to twitch the feet. There are crazy people who with such a "tremor squats" for 200*10 kg. This is the way to complete muscle break from bone, in my opinion. I believe that Moxy will score the alarm before the tremor begins, on the appearance of abnormal trends of Smo2 and ThB. Example - I squat without weight in a short amplitude without muscle relaxation, while the muscles are in good condition, and I see a Moxy "bug"
Here an add on to confirm Kirill's and Andri's greta information. I use SEMG combined with NIRS ( first Portamon now MOXY ) daily in rehabilitation and now as well often in report to insurance companie s and return to work assessments. During the rehabilitation we can motivate the patient and see as well the value of how many reps. The classical rehab we often completely underestimate the recovery time needed of a d rehabilitation leg ( muscles ) as well the amount of reps needed to make progress. It is more a question of quality of contraction if we look at strength regain , than a question of quantity which may be important m in the case of regaining coordination . The nice part of NIRS involved rehab is the live feedback and therefor the diretcfeedbackc of the quality of the rehab. So here an example of a ACL rehab with comparison of operated leg to healthy leg. Portamon print out 7 years back . ACL rehab 12 weeks post ops. Red is O2Hb and blue is HHb. The thick color is T3 so the depth of a MOXY reading in the muscle . The thin color is T1 so more toward the skin O2 reaction. 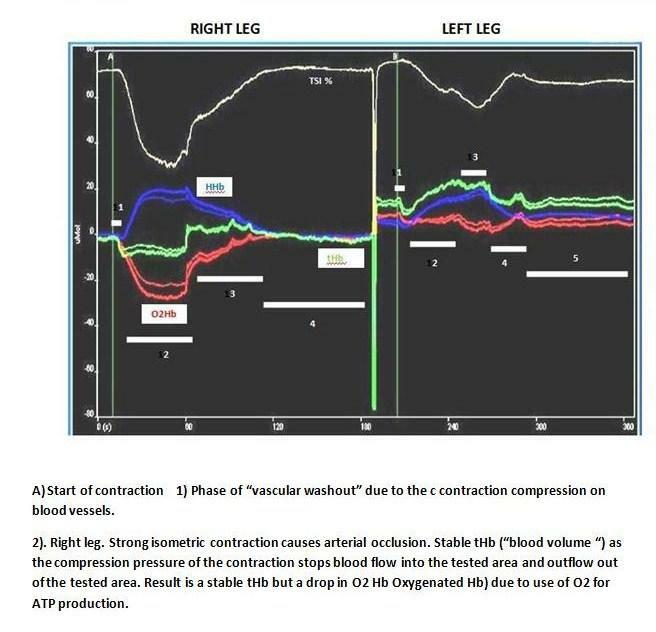 Easy to see that in the "healthy right leg the isometric muscle contraction quality allows an initial compression outflow of tHb followed by an arterial occlusion due to a good contraction force ( quality ) Than at relaxation a back flow of blood into the test area with some overflow as a typical occlusion trend reaction.. The contraction quality was so good , that we never had a moment of a short venous occlusion pooling. The ops leg left shows as well the initial outflow compression tHb reaction but then a much less quality contraction which lead sot a venous occlusion ( outflow restriction ) with a " tremor " and not a great hard contraction sign , followed at relaxation by a tHb drop as a feedback of a pooling outflow. Squatting done by an extreme endurance athlete and a strength athlete in Santa Monica ( Red bull seminar) including blood test( I stat ) . Blood was taken immediately at the end of the load. O2 % = SpO2 sensor taken after the load and is the lowest value we were reading. I show just one relevante feedback in connection with this discussion. The athlete had a severe complex knee surgery prior. Look at the tHb trace and " contraction " quality and try to guess which brown is the operated leg and why ? Now here somewhat later in the test run. Explain for yourself what you may see in contraction quality between the 2 legs . It is generally believed that cross bridges account for >50% of the total ATP consumed by skeletal muscle during contraction. We investigated the effect of N-benzyl-p-toluene sulfonamide (BTS), an inhibitor of myosin ATPase, on muscle force production and energy metabolism under near-physiological conditions (50-Hz stimulation frequency at 30°C results in 35% of maximal force). 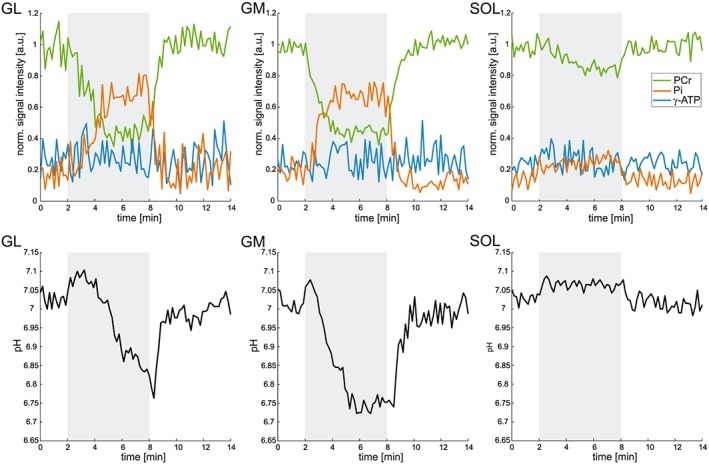 Extensor digitorum longus muscles from mice were isolated and stimulated to perform continuous isometric tetanic contractions. Metabolites of energy metabolism were analyzed with fluorometric techniques. ATP turnover was estimated from the changes in phosphocreatine (PCr), ATP, and lactate (−2ΔATP − ΔPCr + [1.5Δlactate]). During contractions (2–10 s), BTS decreased force production to ∼5% of control. 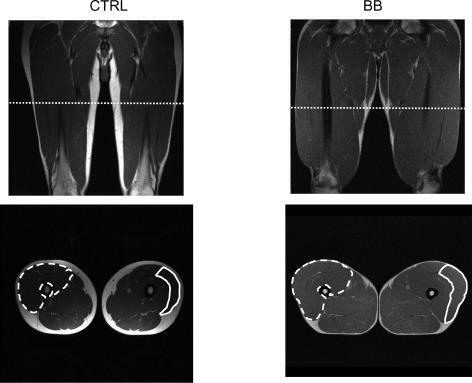 Under these conditions, BTS inhibited ATP turnover by only 18–25%. ATP turnover decreased markedly and similarly with and without BTS as the duration of contraction progressed. In conclusion, cross bridges (i.e., actomyosin ATPase) account for only a small fraction (∼20%) of the ATP consumption during contraction in mouse fast-twitch skeletal muscle under near-physiological conditions, suggesting that ion pumping is the major energy-consuming process. 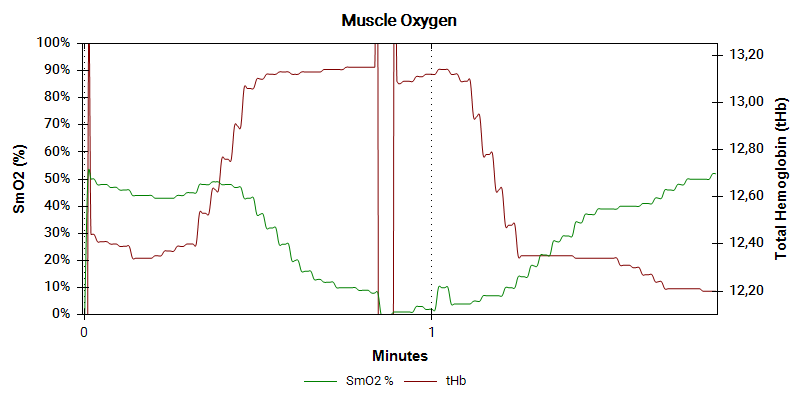 Typical kinetics of oxyhemoglobin/myoglobin (Hb/MbO2) level and PCr concentration during resting metabolic rate measurements. Sample recordings are shown from 1 subject for RMRmus determination. Tracings of Hb/MbO2 and PCr measured by NIRcws and 31P-MRS, respectively, are shown during arterial occlusion. This ischemic condition caused an immediate decline in Hb/MbO2, which plateaued ∼5 min after the start of occlusion. At this point, PCr began to decline linearly, which continued until the end of the 15 min of arterial occlusion.S R, slope at rest; OD, optical density. Nice feedback and great for us after all this years to have some accepted studies showing the validity of NIRS and why we do what we do Here the discussion which is super interesting as well. 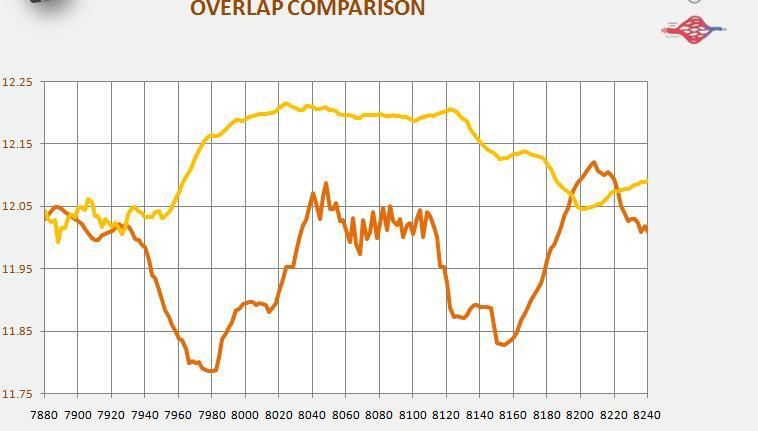 The next step we hope we will see is more confirmation in what we term limiter and compensator idea and how NIRS combined with up to date physiological ideas can ,as we do , guide coaches and athletes in a very new direction of physiological guided workouts versus performance guided workouts. This is the start of the end of training zoning as we know it . ????? This is the start of live feedback training intensity control as we go a long. Measuring RMRmus accurately was one of the most important parts of this study for estimating the absolute values ofV˙o 2NIR(30). Blei et al. (4) and Hamaoka et al. 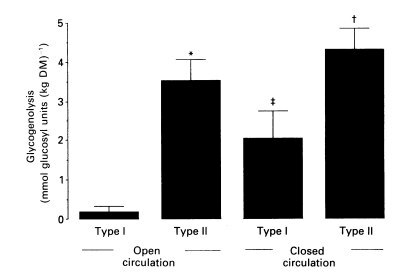 (12) reported that the resting PCr breakdown rate after the complete depletion of muscle O2 stores by arterial occlusion at rest reflected RMRmus. In this study, as in previous studies, there were no changes in intramuscular pH and ATP concentration along with no O2utilization during RMRmus measurements. Because the contribution of the glycolysis to the PCr synthesis was negligible at rest (8), it is reasonable to conclude that the PCr breakdown rate after O2 depletion reflects RMRmus (Fig. 3). The average value of RMRmus in this study was 0.0076 mM ATP/s, which is similar to both 0.008 and 0.0073 mM ATP/s previously measured by31P-MRS (4, 12). This result is also comparable to the value of 6.3 μmol · min−1 · 100 ml−1 measured invasively (17). Several studies have shown that the Q values measured by31P-MRS reflect the rate of oxidative ATP production (6, 16, 17, 21). The high correlation between Q(30) measured by 31P-MRS andV˙o2NIR(30) measured by NIRcws under the same conditions demonstrates the validity of NIRcws as a quantitative measurement of muscle O2 consumption. Several studies have used NIRcws to estimate oxidative metabolism (10, 12, 18), and one study correlated NIRcws with a standard invasive measurement (18). To the best of our knowledge, this is the first study to show the validity of the quantitative values of V˙o 2NIR measured by NIRcws. 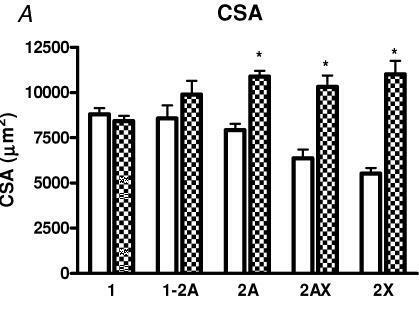 The muscle oxidative ATP production rates obtained in this study [Q(30)] ranged between 0.041 and 0.209 mM ATP/s, which correspond to between 5.6- and 28.2-fold higher than the RMRmus. The initial Q for PCr ranged between 0.067 and 0.341 mM ATP/s. 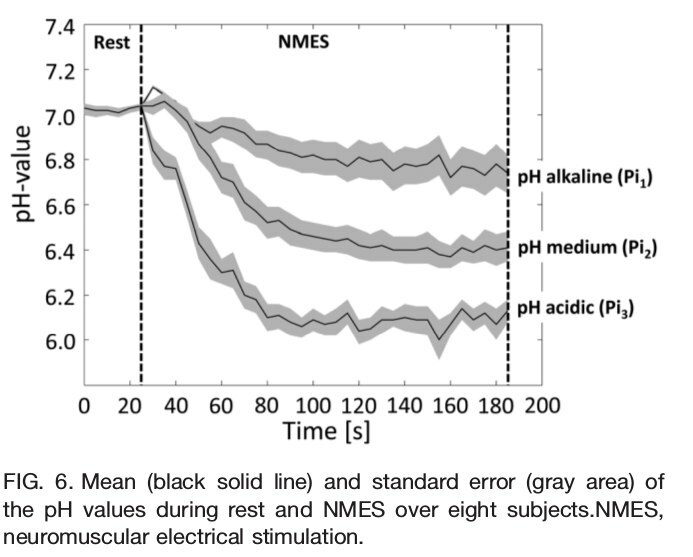 The intramuscular pH at the end of exercise ranged between 6.37 and 6.96. The wide range of these parameters would suggest the effectiveness of NIRcws measurements for evaluating muscle oxidative metabolic rates at various metabolic levels. To look into the wide range of the metabolic rates, we used different muscle loads. The possible reason of why different metabolic rates were obtained at the given intensity was the varying physiological and metabolic properties in the individuals. Blei et al. 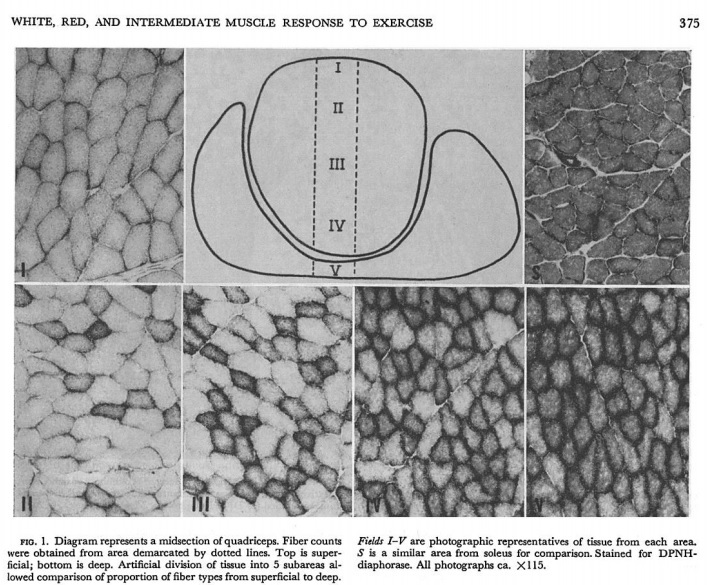 (4) reported that the average Q following fully excited muscle contraction was 0.28 mM ATP/s. Hartling et al. (17) reported that forearm O2uptake during maximal forearm dynamic exercise was 201 ± 56 μmol · min−1 · 100 ml−1, which is equivalent to 0.2 mM ATP/s (17). In this study, Q values from the three subjects were equivalent or higher than the values measured by Blei et al. (4) and Hartling et al. (17). 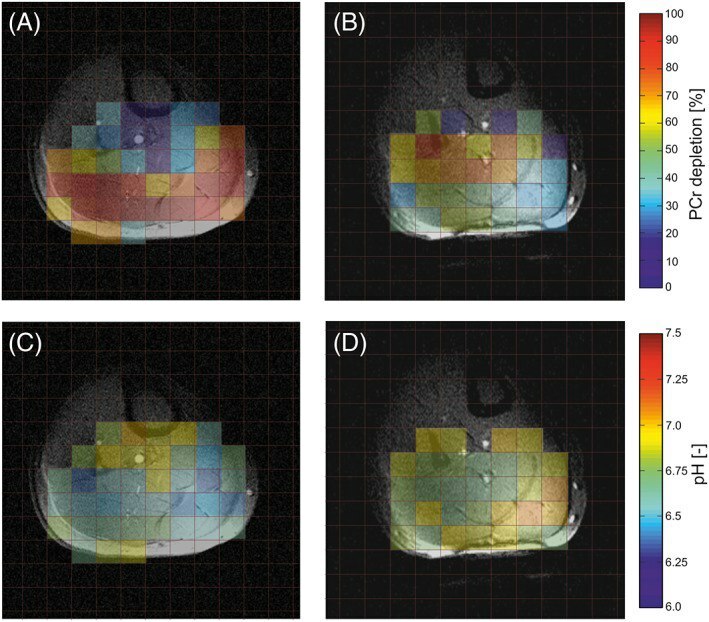 This result indicates that the finger flexor muscles, which served as the measurement site in this study, were maximally activated in some cases and confirms the feasibility of the measurement of maximum muscle O2 consumption by NIRcws. Advantages and limitations in measurements. NIRcws has several advantages as a method of evaluating muscle oxidative metabolic rates compared with 31P-MRS measurements, which are currently held to be the gold standard. First, the portability of NIRcws allows it to be used anywhere it is needed. This characteristic allow for more opportunity to examine both clinical and nonclinical (experimental) aspects of energy metabolism. Second, NIRcws has a higher sensitivity to changes in muscle metabolism because NIRcws is a more direct measurement of the changes in O2content compared with the indirect measurement made by31P-MRS. In other words, NIRcws can be applied for measuring muscle oxidative metabolism even in the case where there is a lack of a significant decrease in PCr such as very low-intensity exercise. Third, NIRcws has a higher time resolution than31P-MRS in the measurements of muscle oxidative metabolic rates. The time resolution of NIRcws used in our study was 1.5 s; however, improvements in technology have increased the time resolution to 0.1 s. On the other hand, the time resolution for one data point by 31P-MRS in our study was 10 s, which was the same or even higher than the other studies (4, 25), although there were some studies in which 31P-MRS was able to be measured every 1 s (5). 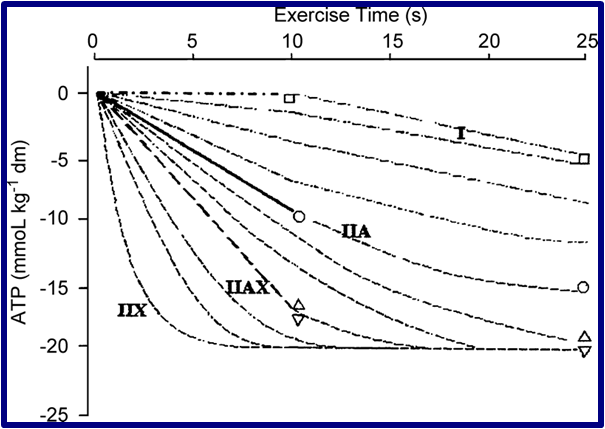 Furthermore, to measure muscle oxidative ATP production rate using 31P-MRS, the postexercise Q has to be determined. When the rate constant of PCr recovery is used to calculate Q, PCr kinetics postexercise has to be monitored for at least 5 min (4, 21, 25-27). Some studies achieved a much better time resolution in which the initial Q values were measured directly from the changes in PCr concentrations between successive time points (5, 20); however, it was pointed out that obvious random error occurred in the case of Q calculated in 10 s following exercise (5). Furthermore, it was suggested that a solution to this error would be to use a window of PCr resynthesis wider than 10 s during recovery because it would provide greater signal-to-noise ratio (5). In other words, the ideal condition is essential to calculate the oxidative metabolic rate within 10 s following exercise using 31P-MRS. 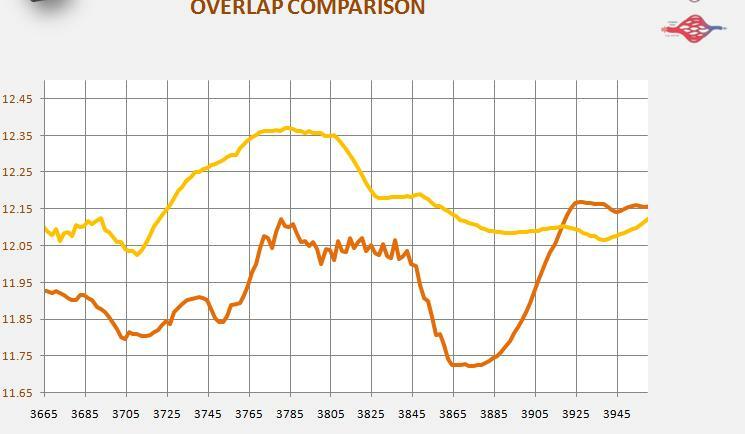 In our setup, better reproducible results of the rate of PCr resynthesis were obtained when the rate constant of PCr recovery was used rather than when the changes in PCr concentrations between successive time points were used. On the other hand, as already shown in this paper, NIRcws takes 6 s and would take even shorter when NIRcws with a higher time resolution are used. Although there was a significant correlation between NIRcws and31P-MRS measurements, the average value ofV˙o 2NIR(30) measured by NIRcws (0.092 ± 0.051 mM ATP/s) was smaller than the average value of Q(30) (0.113 ± 0.052 mM ATP/s) measured by 31P-MRS (P < 0.001). One possible explanation for this is the technical limitation of the NIRcws equipment used in this study. The declining rate of Hb/MbO2gradually decreased with time during postexercise arterial occlusion (Fig. 5). Four consecutive data points (6 s) were required to obtain the regression line for the rate of Hb/MbO2 decline in the postexercise measurements. If the slope was calculated using two data points, the slope would be steeper and less valid. 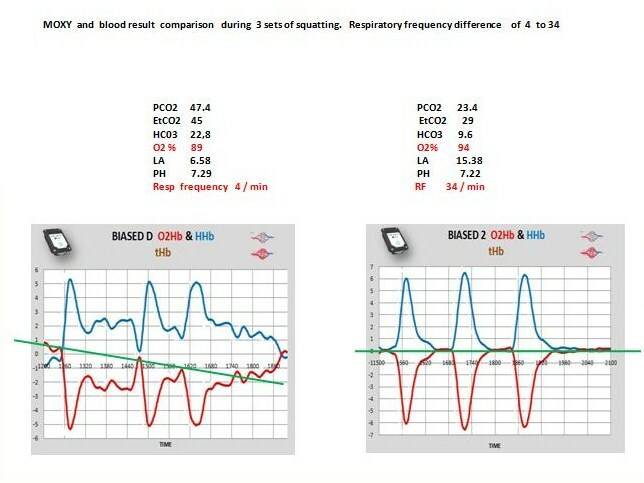 To overcome this possible underestimation, it is necessary to develop NIRcws with a higher time resolution that can be used in validity studies along with31P-MRS. Another possible reason for the underestimation inV˙o 2NIRis that the arterial occlusion was initiated when the Hb/MbO2 level was extremely low. To avoid this, in this study, theV˙o 2NIR was measured 30 s after the cessation of exercise so that Hb/MbO2levels would have fully recovered to resting levels by this time. In conclusion, the high correlation between NIRcws and31P-MRS measurements supports the validity of the quantitative evaluation of skeletal muscle oxidative metabolic rate using NIRcws. Therefore, NIRcws can be used as a valid method for quantitatively measuring exercising muscle metabolism , and its portability and accessibility make it a useful alternative. We acknowledge the help of Kelly McGrath and Toshio Kimura in writing the English manuscript. Therefore, as proposed by the Moxy HIIT trainings, intervals like the desat-resat SIT, should not maintain low levels of deoxygenation, and therefore should be more likely to keep PCr intact, and therefore making the time frames offered by SmO2 more rebust. This also holds true for a submax gradual desat. Where we run into problems is with an extended desat. Protocol where we really push low SmO2 levels. Here it is very likely, and in practice you will see this quickly, pure muscle re-oxygenation does not work to assess recovery. While several factors can be the reason for this, the graph can help us add to these reasons, PCr is just not recovered. 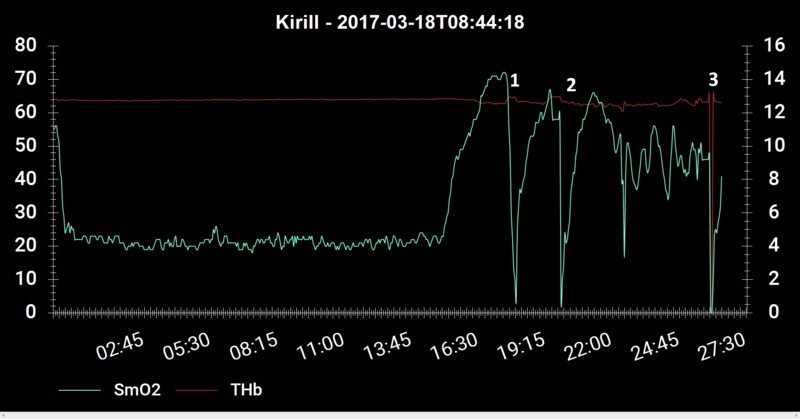 Thanks Kirill for presenting the data. Did you want to comment for the group? Personally for me it is an illustration of the fact that anaerobic glycolysis or doesn't take part in resynthesis of a PHOSPHOCREATINE, or its power is very small, or he resynthesis only ATP directly. And it is very evident pictures for understanding of extreme importance of delivery and consumption of oxygen for resynthesis of PHOSPHOCREATINE and ATP. And why to a Moxy is the magic device for an assessment of metabolic processes in muscles. In the 2 picture reflects that when in the middle of PHOSPHOCREATINE restoration blocked a blood stream the complete recovery PHOSPHOCREATINE came from the oxygen taken from a myoglobin.